This is considered a classic and is taught in many literary classrooms, but I think of it as a horror story: when pushed to the brink, there is almost no limit to what atrocities humanity can commit. This extremely short tale examines the effect of desperation on a family stricken with drought–but it’s the matter-of-fact way in which it’s rendered that gives one chills. My blood curdles every time I read this. 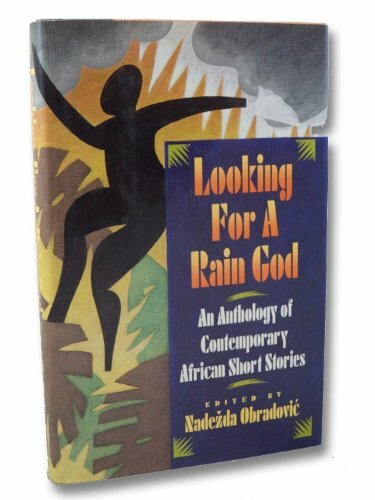 It’s not an easy piece to find because it mostly appears in textbooks, but there’s a wonderful collection—Looking for a Rain God: An Anthology of Contemporary African Short Stories—here. Posted on March 11, 2018, in Horror Stories, Short Stories and tagged Bessie Head, contemporary African short stories, literary stories about atrocity, meaning in Looking for a Rain God, stories set in Africa. Bookmark the permalink. Leave a comment.